Let’s make a sugar skull floral centerpiece! 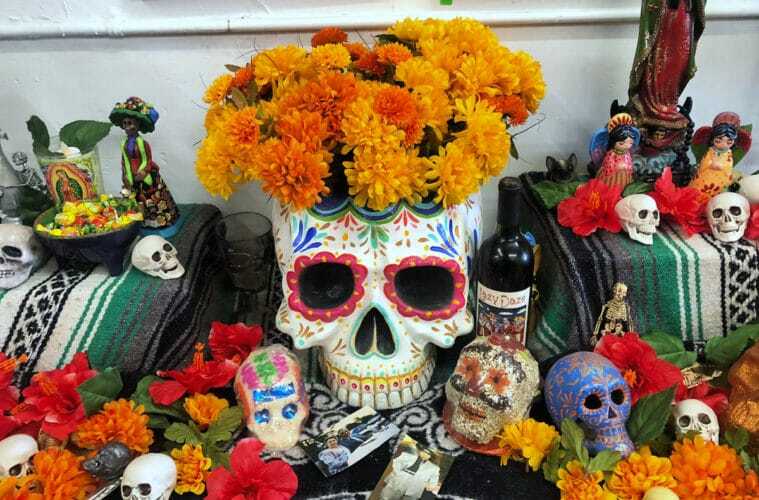 Dia de los Muertos is a little over a month away, and that means it’s time to break out the colorful decorations. 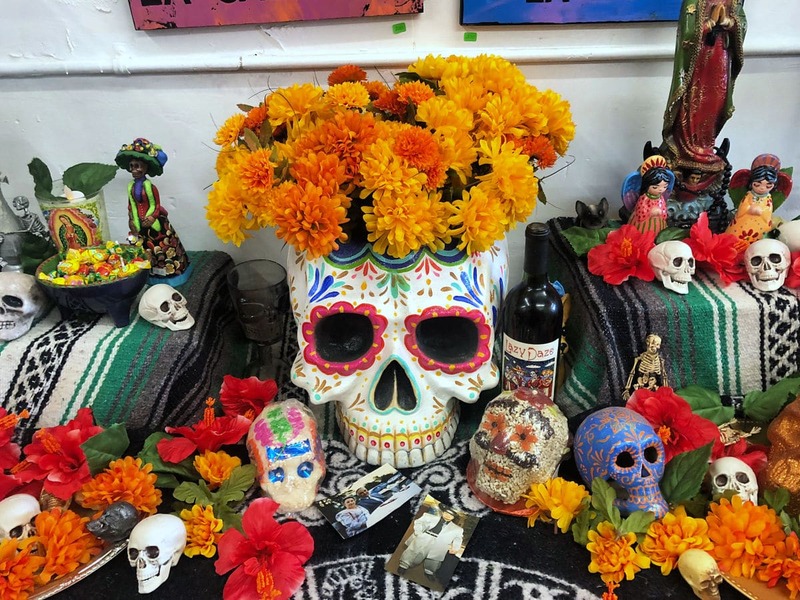 While everyone else spends more than $9.1 billion on Oct 31 festivities, those of us who celebrate Dia de Los Muertos love to make our own decorations. (And those who celebrate both!) It not only saves money but also looks great! This floral skull centerpiece (made by my friend, Emily Costello!) acts as both a vase and a decor focal point that you can easily customize with your favorite autumn flowers. 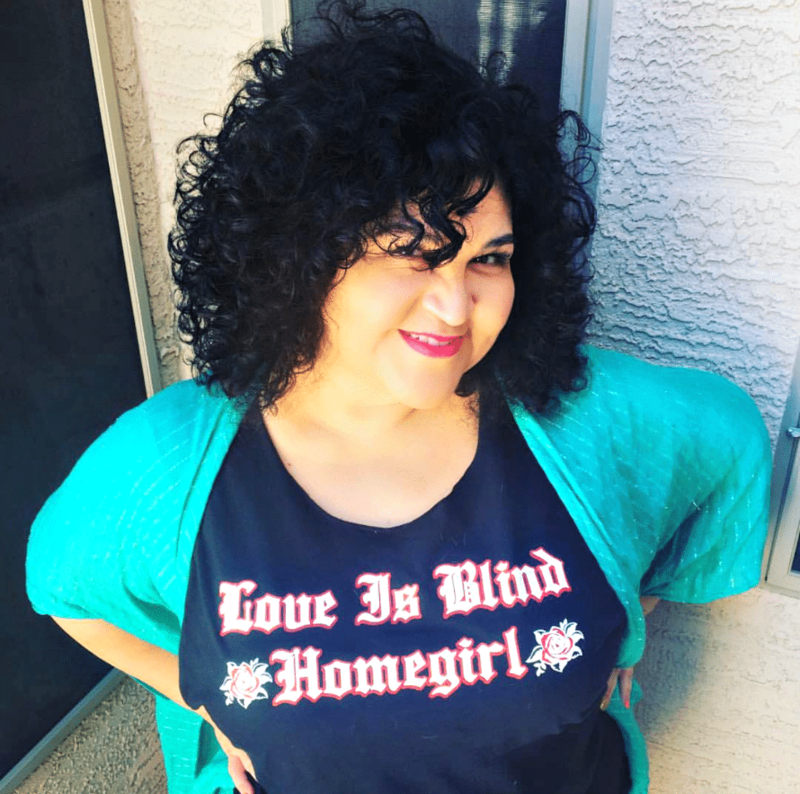 You can use it for party decor or even as the centerpiece of an ofrenda as we did. Skull Surgery: You’ll start this project by playing surgeon on your model skull. If your skull is built with a removable calvarium, the top part of the skull that would cover the brain, then you can simply take that off. If not, use your knife to cut the top of the skull off, starting about one inch above the eyes. Foam Fitting: Cut a square block out of your floral foam and fit it inside the skull. Slice off corners and edges with your knife so that it fits snugly in the skull. Press down on the foam so that it goes as deep as possible. You can slice off extra foam, but you want at least half an inch of it to stick out of the top of the skull. Soaking The Foam: Once you’re satisfied with the foam’s fit, remove it from the skull and submerge it in the bowl of water. Let it absorb water for a few minutes. Meanwhile, fit your resealable plastic bag over the skull. The bag will prevent water from leaking through the skull and allow you to water the flowers once they’re in the centerpiece. Set the wet foam back in the skull and trim the excess plastic lining so that it doesn’t hang past the opening on the top. Flower Arrangement: You’ll want your floral arrangement to be an assortment of large and small blooms, twigs, and various greenery. To keep with the autumnal look, use seasonal flowers in oranges and reds, such as celosia, goldenrod, and helenium. Trim the stems at an angle to maximize water absorption. As wet foam doesn’t spring back to its original shape, you won’t be able to remove a stem once you insert it. Start with the leafiest, largest flowers to set a framework. Insert the stems upright and approximately three-fourths of the way down. Keep going with the arrangement as you like, making sure to add foliage around the edge to hide the foam. Save tall green stalks and slender stems last as fillers. 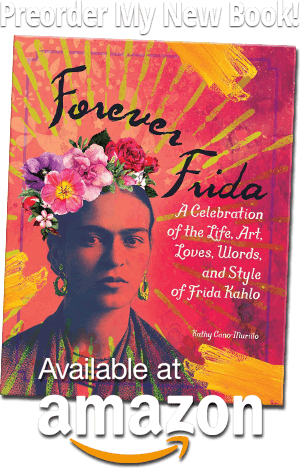 Now you have a beautiful showpiece for Dia de los Muertos! These centerpieces also work well for fall and Halloween events. You could even use it for a wedding! October is the second most popular month to get married, with 14% of couples doing so. Here are some Muertos wedding ideas from The Knot! 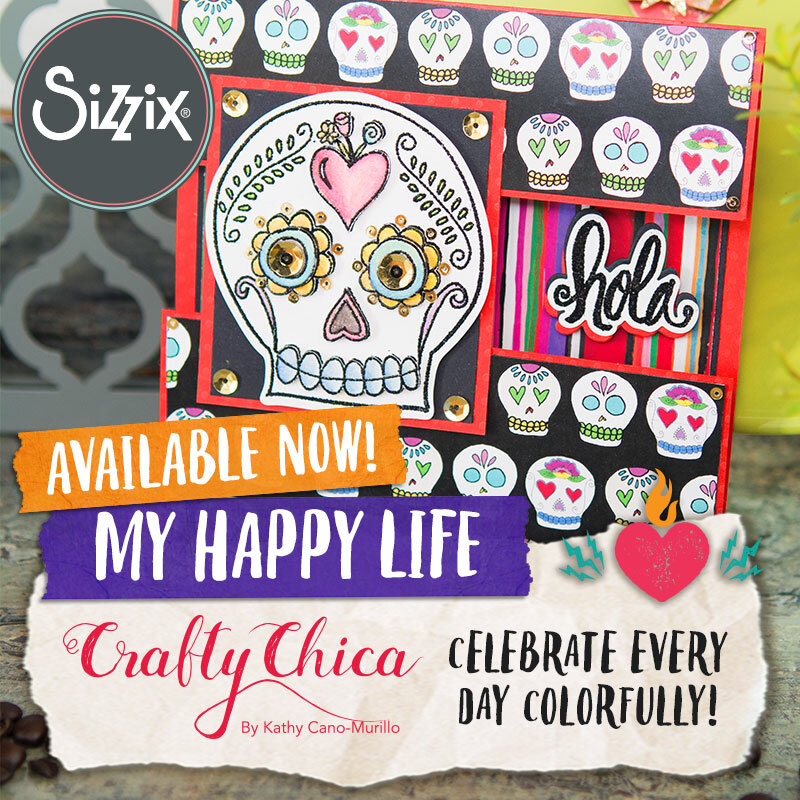 No matter how you use it, make sure to have fun with the flower arrangement, and let your sugar skull side shine! Next ArticleTrunk or Treat Idea: Graveyard Scene!